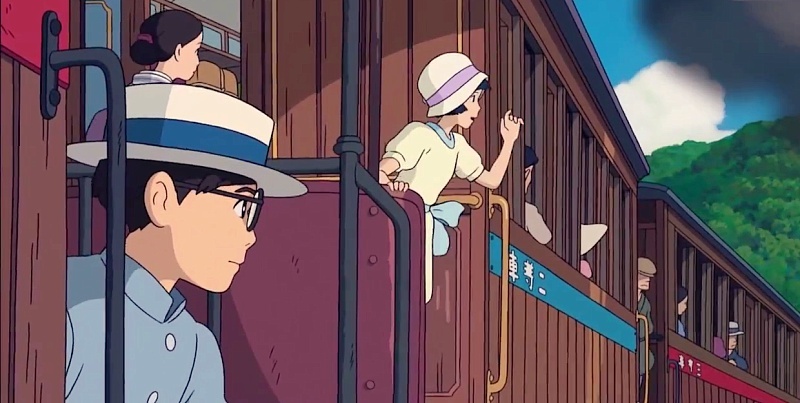 Madman confirms the acquisition of Hayao Miyazaki's final feature film, The Wind Rises (風立ちぬ). Realistically, this announcement should come as no surprise. Of course we would be getting the film eventually but what is a surprise is the fact that Madman have not only acquired the rights, but also made the acquisition public while the film is still in Japanese cinemas. Australia's biggest anime company doesn't muck around! Follow on after the jump for Madman's official press release. MADMAN ACQUIRES HAYAO MIYAZAKI’S THE WIND RISES. Monday, 9 September 2013: Madman is proud to announce its acquisition of The Wind Rises (Kaze Tachinu), the latest feature from Oscar-winning Japanese filmmaker, Hayao Miyazaki, and the renowned Studio Ghibli, for release in Australia and New Zealand. 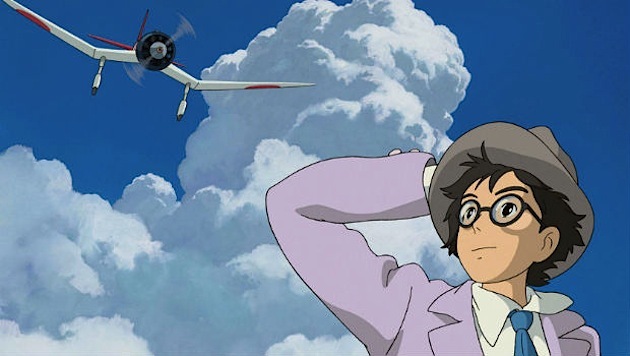 The Wind Rises follows the story of Jiro (voiced by famed Evangelion director Hideaki Anno), who dreams of flying and designing beautiful airplanes, inspired by the famous Italian aeronautical designer Caproni. Unable to become a pilot because of his eyesight, Jiro joins the aircraft division of a major Japanese engineering company in 1927. His genius is soon recognized, and he grows to become one of the world’s most accomplished airplane designers. Chronicling two decades, The Wind Rises depicts key historical events that deeply affect the course of Jiro’s life, including The Great Kanto Earthquake of 1923, The Great Depression, the tuberculosis epidemic, and Japan’s plunge into war. He meets and falls in love with Nahoko, grows and cherishes his friendship with his colleague Honjo, and innovates tremendously, leading the aviation world into the future. 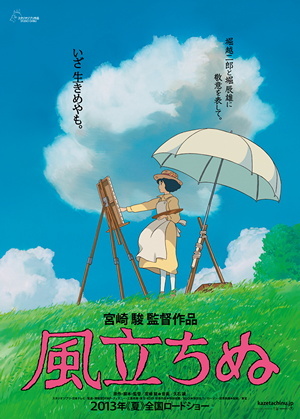 The first feature to be helmed by Miyazaki since Ponyo in 2008, The Wind Rises brings together the lives and stories of the engineer Jiro Horikoshi, visionary designer of the famed ‘Zero’ WWII Japanese fighter, and Tatsuo Hori, poet and author of the 1938 novel, The Wind Has Risen, to create Jiro, who is at the centre of an epic tale of love, perseverance, and the challenges of living and making choices in a turbulent world. Screening in competition at this year’s Venice Film Festival – and soon also at Toronto – The Wind Rises is a complex and beautiful work that has been called Miyazaki’s most personal, unique and mature film to date, melding stark history alongside buoyant fantasy to tell a tender and tragic love story. In his native Japan, Miyazaki’s film has courted some timely controversy owing to its subject matter colliding with the Japanese government’s hotly debated proposed changes to military defence. Since its opening, however, The Wind Rises has remained at the top of the Japanese box office for seven consecutive weeks, taking in over US$88 million (¥8.78 billion) and relegating even Man of Steel’s opening to the number two slot. Once again, Miyazaki and Studio Ghibli have delivered a stunning visual work which remains faithful to traditional, hand-drawn animation techniques which showcase delicate colours and breathtaking vistas throughout. In a press conference held on Friday, 6th September, Hayao Miyazaki confirmed that The Wind Rises will be his last full-length feature film. 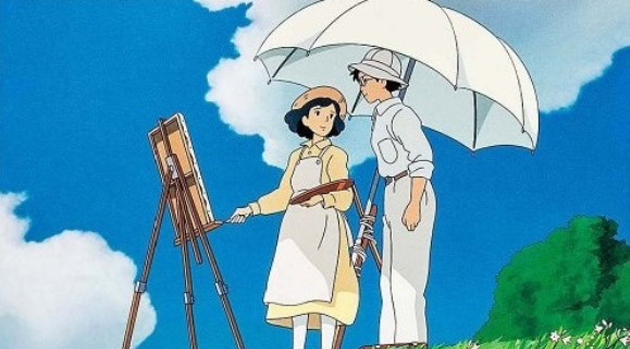 The Wind Rises will release in Australian and New Zealand cinemas in 2014.